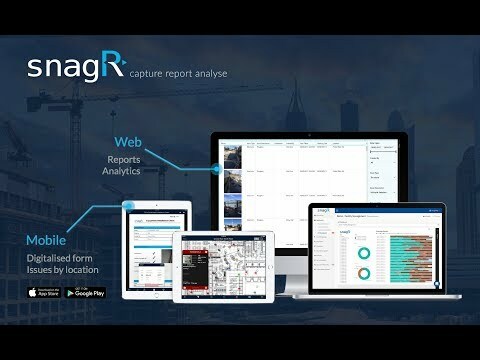 SnagR is designed to manage complex projects for developers, contractors, builders and owners. We eliminate error-prone paperwork, enable real-time access to on-site data, track contractor performance and save labour and printing costs by automating manual processes with our digital platform. How does snagR compare with other Operations Management apps? There are currently no reviews of snagR. Below are some frequently asked questions for snagR. Q. What type of pricing plans does snagR offer? Q. Who are the typical users of snagR? Q. What languages does snagR support? Q. Does snagR support mobile devices? Q. Does snagR offer an API? Yes, snagR has an API available for use. Q. What other apps does snagR integrate with? Q. What level of support does snagR offer?